Eighteen women artists of Skagit have come together to celebrate the nature of the place they love. They are from varied backgrounds and interests, yet their work reflects the bond of infinity for the land in their various methods of print. Eighteen artists who live or work throughout the Skagit Valley have joined together to produce a suite of original prints. The 18 contributors to Skagit Women Print include printmakers and painters, as well as poets, photographers and ceramic artists. 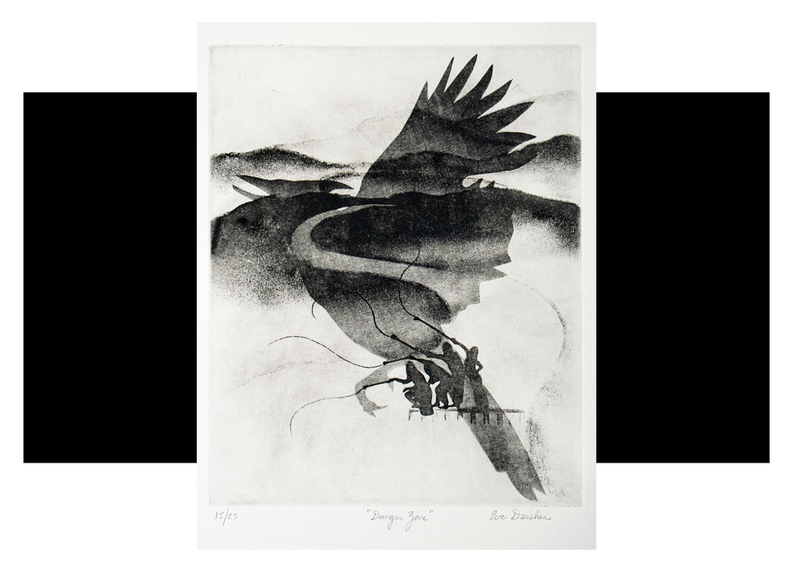 Each artist produced an edition of 25 prints, drawing from a range of printmaking methods, including linoleum block, wood block, solar plate etching, vitreograph, mezzotint, chine collé and serigraph. The theme of the prints reflects on how the Skagit alley influences each arist’s work or life. This collaboration is a first-time endeavor that began in the Summer of 2013 and concluded a year later. Participating artists worked together throughout the year to explore and refine methods and processes.